Bootstrap Business: Should I Buy An Electric Car? The number of electric cars on the road is rising rapidly even if they don’t yet dominate the car market. There are currently around a quarter million electric cars driving in America with the total growing by 55 percent each year. 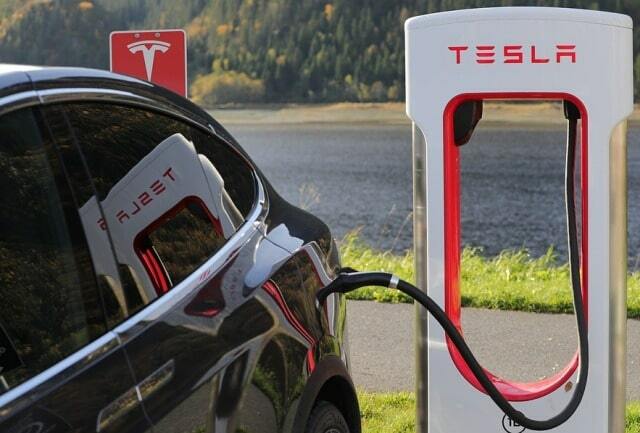 By 2025 the number of electric cars worldwide will reach 25 million! Clearly, the future of electric cars is clean and bright. Still, lots of drivers are wondering whether now is the right time to switch from a gas to electric car. Drivers need to know whether electric cars are practical enough, and answer questions about financing. For instance, can you get private sale car loans for an electric car? Ultimately, it’s up to you to decide if you should buy an electric car. Explore some pros and cons before making your final decision. Electric power is a lot smoother than power from internal combustion engines. Electric cars are notable for their peaceful road manners. Despite that fact, electric cars are able to deliver the same levels of power and acceleration. You don’t sacrifice any thrills by going electric. Electric cars are limited by the range of their battery packs. Once the battery is drained, drivers have to find a charging station, which may not be easy. Range can be under 100 miles or over 300 depending on the model. But, in all cases, traveling long distances isn’t as effortless as it is in a gas vehicle. Electric power is typically cheaper than an equivalent amount of gas. Plus, electric cars require less maintenance because they don’t need oil changes or exhaust repairs. Lifetime cost of ownership varies depending on the make and model but paying more upfront could save you more over time. Gas vehicles take just a few minutes to refuel. Electric vehicles take several hours to recharge. It’s possible to drive with less than a full charge, but this limits the range. Drivers have to plan and prepare more than normal in order to ensure their vehicle can get where it needs to go. The government offers a number of incentives to encourage driver to choose clean electric cars. As of 2018, drivers could earn tax credits of over $7,000. Once that is factored in, the price of electric cars is not significantly higher than gas alternatives. New electric cars are introduced every year, but the overall selection remains low. Drivers can choose between sedans, crossovers, and other options, all with different capabilities and price points. However, drivers may not be able to find an electric vehicle that perfectly meets their needs and wants. Gas vehicles can explode if exposed to enough force or heat. That’s not possible in electric cars since they don’t drive with any gas. Stability is superior too thanks to heavy battery packs mounted in the center of the vehicle. Most mechanics will work on any car, as long as it has a gas engine. Electric cars are still relatively new and have a lot of unusual components and unfamiliar systems. There are mechanics who can and will work on these cars, just not nearly as many overall. Electric cars are perfect for some drivers and not for others. No matter what you want to drive, don’t let your credit hold you back. Lending options are available for all drivers, even those with a low score or mistakes on their record. Shop for cars, electric or otherwise, based on your budget and your driving needs. Your credit shouldn’t (and doesn’t) hold you back. I hope you enjoyed this blog post about the pros and cons of purchasing an electric car as a personal or business vehicle. Interested in more articles about electric cars and the automotive industry?